A Frame type of design is made up of holo steel tube with extremely good load carrying capacity. A frame structure is made up of 30 X 30 X 2 mm Squre sections with chemical resistance PP Powder coating. This type of furniture is used where list flexibility is required hence more the system is fixed. Rear Portion of leg space will be covered with easily removable type end closure panel for easy maintainance purpose. The work tops are supported on the plinths mounted under bench storage units provide a strong Construction. This system are designed to sustain heavy bench load. 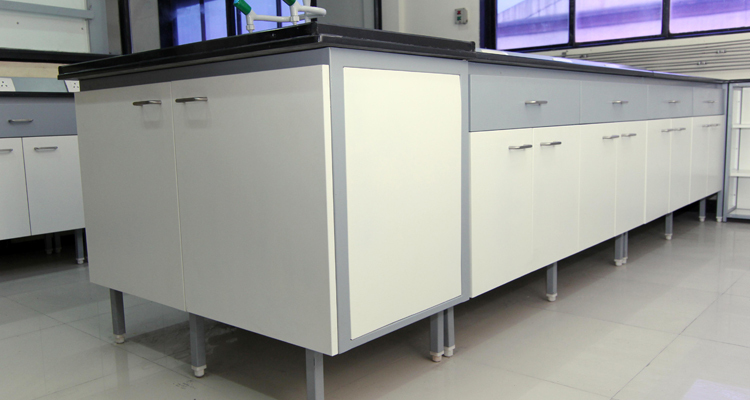 It is particularly suitable for laboratory which need a lot of storage space. Available in Standing and sitting height.